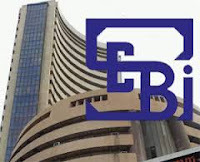 In its biggest ever fine, regulator Sebi today imposed a penalty of Rs 7,269.5 crore on PACL Ltd and its four directors for illegal and fraudulent mobilisation of funds from the public, saying the company deserves "maximum penalty" for such large-scale duping of the common man. The penalty follows another order by Sebi last year wherein PACL was asked to refund Rs 49,100 crore it had collected through illicit schemes over a 15-year period. Sebi asked the company and its directors to deposit the fine, which is three times the profit accrued to them, within 45 days of receiving the order. The company was running a land purchase scheme, where it was raising money from public to buy land. In the guise of selling agricultural land, it collected Rs 49,100 crore from 5.85 crore customers over a period of 15 years by promising them that the investments in the schemes of the company are highly profitable.